Not sure what to pack in those pesky school lunches? 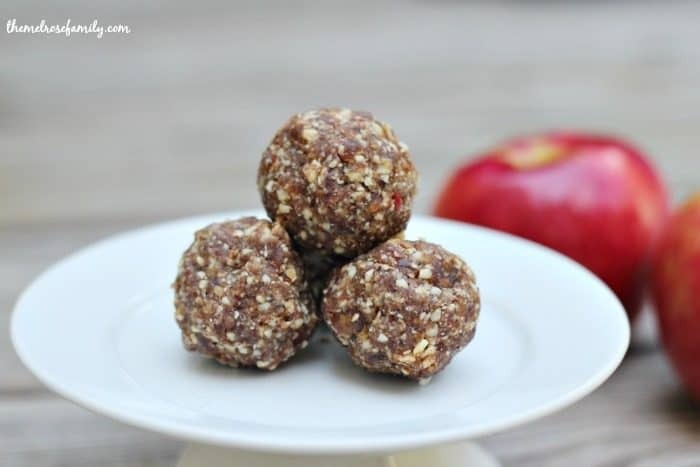 These Apple Pie Energy Bites are the perfect healthy snack idea. They are done in ten minutes or less and they taste like actual an actual apple pie, but without all the calories! To say that my girls love energy balls would be an understatement. Whether it’s my Blueberry & Lemon Energy Balls or my Almond Joy Energy Balls, they’re always begging me to try out a new recipe. I think they’re love for them sees be the consensus amongst most kids because my energy balls are my most visited recipes. Luckily, I have a ton! Plus they are super simple, just take a look below. This might sound crazy to some people, but I feel as if back to school is literally right around the corner. I’m traveling from mid July to mid August and by the time we get back we’ll have a week before school starts. It’s a bit crazy! Consequently, my head is already thinking about recipes that would be perfect for back to school. Riley started kindergarten last year and was pretty consistent on what she brought to school. I never thought to send her with energy balls though because she loved her Frozen lunch bag and sandwich containers too much to send her with a plain old container. 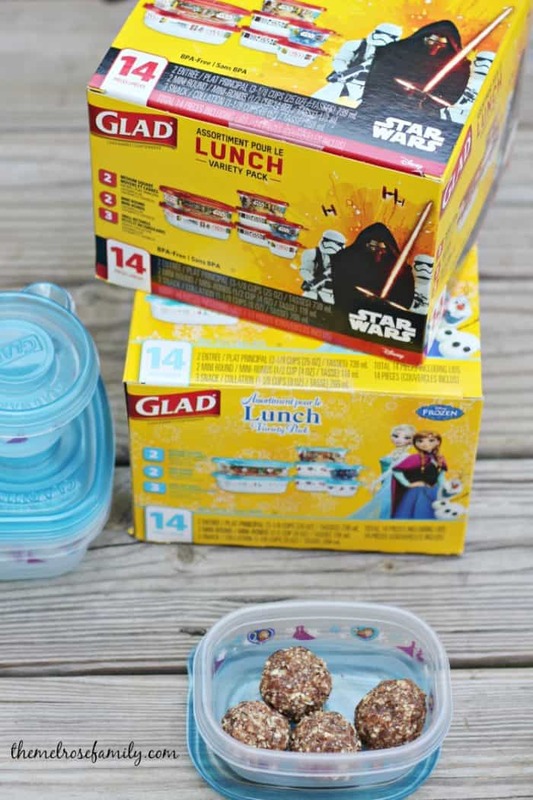 Luckily, I found that Glad makes these adorable Disney Multipacks so now Riley can have apple pie energy balls and her cute Frozen lunch containers because these containers seal in the freshness of the energy balls. 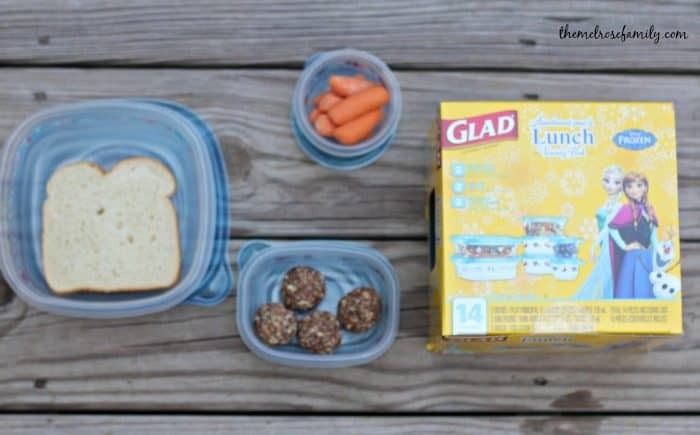 The reusable Glad Disney Multipack makes it easy to reduce daily packaging costs and provides a simple and fun solution for carrying your kids’ back to school lunches. My nephews were also thrilled to find out that I picked them up a pack of Glad Disney Star Wars multipack containers. Now my sister can send them with all of our energy balls too. Plus, you can too! You can find the 14 Piece Glad Disney Multipacks and all your other back to school needs, only at Walmart or Walmart.com. Not sure what to pack in those pesky school lunches? 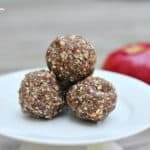 These Apple Pie Energy Bites are the perfect healthy snack idea for school lunches. In a food processor add all of the ingredients and process. 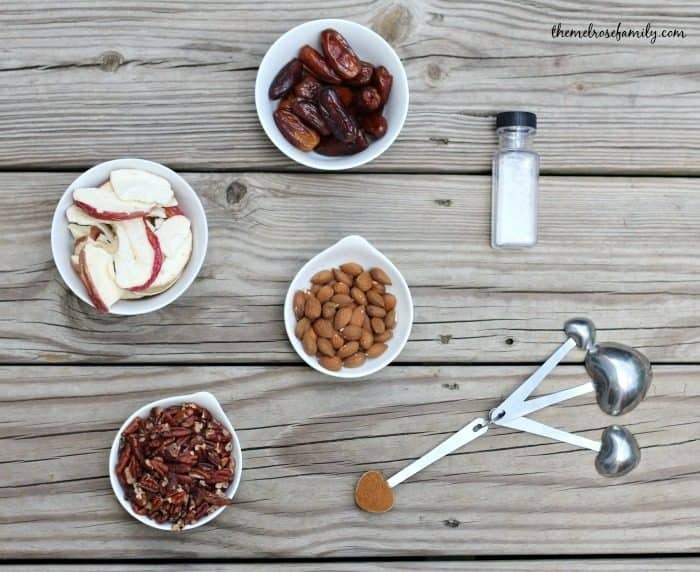 With the processed mixture form quarter size balls by pressing the mixture together to form a ball in your hands.